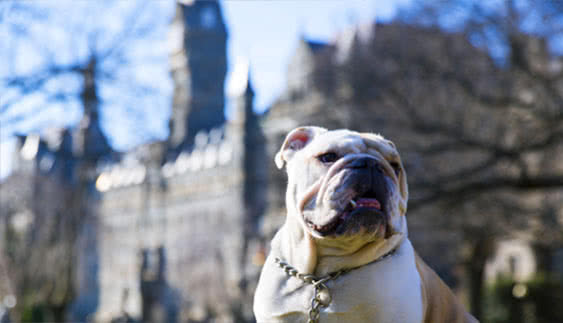 The Challenge: How to Thank Donors During a 24-hour Giving Day. Big Orange Give 2017 was the first year UT Knoxville condensed their campaign from a week- long campaign into a 24-hour Giving Day. Their goal of “One Day, One Million Dollars” presented the challenge of how to effectively thank the donors who gave on a such a short deadline. ThankView provides professional, on-brand, and customized outreach that is easy to use. During their Big Orange Give 2017 campaigns, UT’s outreach was tailored and recognizable to their donors and alumni. Check out the features that helped University of Tennessee, Knoxville achieve their goals. ThankView Solution: Segment Donors to Ensure They Received a Thank You Within 2hrs of Their Donations. Before the day of Big Orange Giving, UT created videos of the Deans from each college thanking donors for their gift. 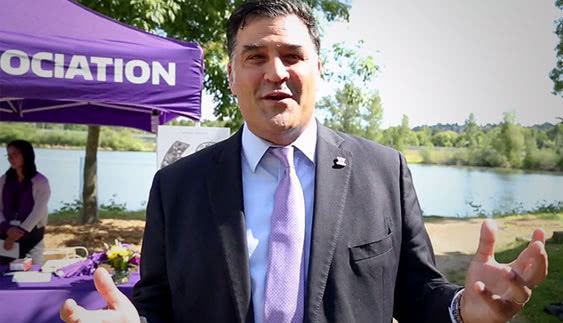 Each donor received a thank from the dean of the school they donated to, and if they donated over a certain threshold, students would record a personal thank you video for them. 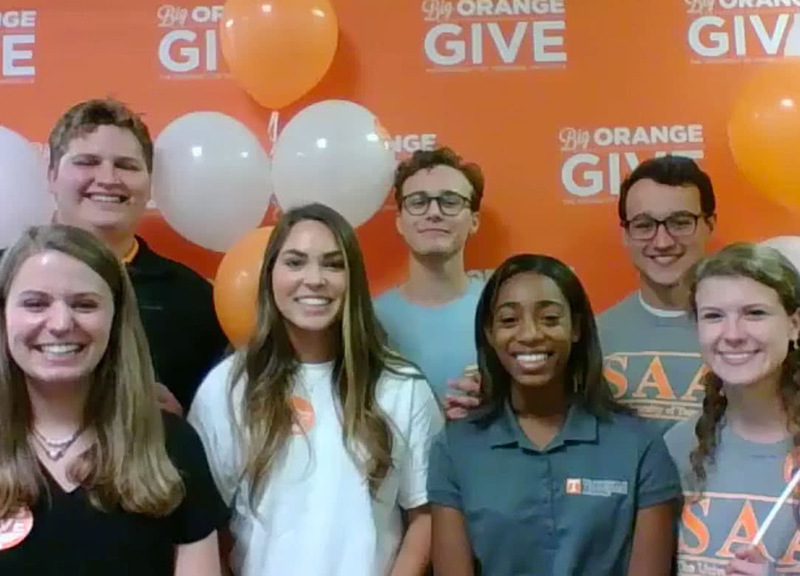 On the big day, hourly reports segmented donors, and within 2 hours of donating, each Big Orange Give donor received a video from a dean or student thanking them for their gift. Donors were asked to give quickly so it was important to thank them promptly to show how grateful UT was for their gift. “ThankView is a way to immediately and personally thank your donors in a meaningful way. You’ll be able to brand it to your company or school in a way that will allow donors to remember you. It is a great platform to express gratitude,” says Brittany Fowler. Brittany even brought UT’s use of ThankView closer to home by using it to thank staff and faculty in their Big Orange Family campaign, which is separate from Big Orange Give. For Big Orange Family, each college had a team leader--or depending on size, multiple team leaders. Team leaders would make asks from their department, and when someone donated, the team leader sent a personal thank you video. UT Knoxville met their goal for Big Orange Give by reaching 1.45 million dollars within 24 hours. During that time they sent 3,347 ThankViews to thank donors who helped them surpass their $1 million goal. The high number of recipient views, replies, and shares show how powerful directing message is for donors. A memorable response came from a UT Knoxville alumnus who sent a video reply thanking UT for thanking him. He even took the time to record his thank you from his private jet. Most importantly, the Big Orange Give and Big Orange Family ThankView campaigns connected donors directly with the students and faculty they impacted. “We’re always wanting our students to be the ones saying thank you.” said Brittany. And with ThankView, they were. 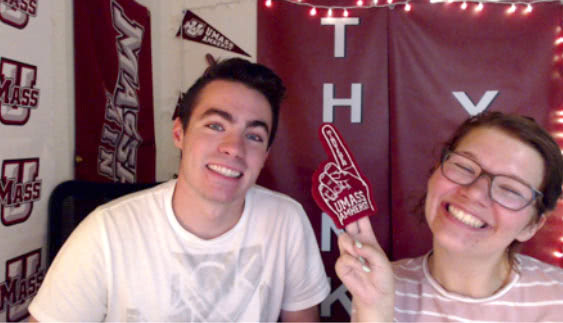 UW successfully engages older donors with video messages.